Lemon_Lime and Cucumber water and there benefits. Lime, lemon and cucumber water are good to our health because it reduces fever, it has vitamin C in it and it also flushes our system. Taking lemon_lime, cucumber water with Luke-warm water in the morning helps us start our day because it clears the digestive system, it also have some vitamins in it, it also boost our immune system and work against infections like flu and cold. Cucumber has some vitamins and mineral in it which we need on our daily lives. It helps our muscle and joint pain, it reduces cholesterol, it has 95% of water in it, cucumber are low in calories and high in fiber which is good for our weight loose and digestive system. Eating cucumber also helps in our hair growth, it also helps us in hangover cure (morning headache) eat cucumber before going to bed. Cucumber contains sugar and vitamin B so try and eat cucumber on daily basics. 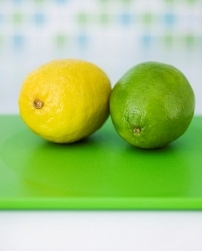 Lemon and lime helps to stimulate our digestion track, it also help to purify and stimulate the liver. Lemon, lime water have potassium, which is important mineral that works with sodium for smooth electrical transmission in the brain and nervous system. Which our health improves by the potassium in lemon_lime water. So make it a habit to add lemon_lime, cucumber to your daily drinking water, to enjoy all its medical properties properties. And trust me it taste real good.